...and maybe you got a phone call or a note that said that you've got HPV. What that stands for is the human papilloma virus. 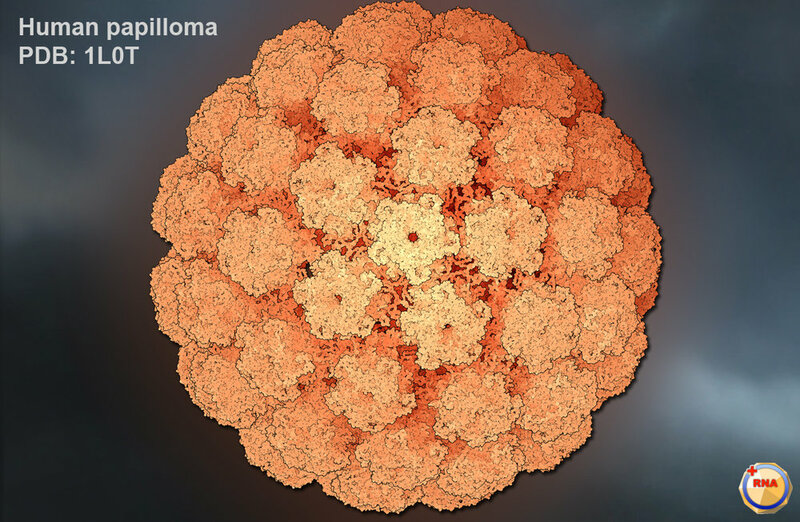 The human papilloma virus, or HPV, is a virus that we discovered many, many years ago. But what we do know is that certain subtypes can lead to cervical cancer. There are hundreds of different kinds of HPV, and on the pap smear, we're only testing for 14 subtypes. This group is called high risk because it can cause cervical cancer. All of the other HPV types can cause warts and bumps that we can actually visibly see when we're doing an examination. On the pap smear, besides looking at the cells and how the cells look, we're checking to see whether or not you have any of this group of 14 HPV subtypes. Some of our labs will also go ahead, and if you're positive also check to see specifically if you have one of the two or three most aggressive types: types 16 18 and 45. Now all of this plays into whether or not we need to be more concerned or concerned enough to go ahead and take a look at your cervix in a different way than the Pap smear provides. So finding out that you have HPV is not a death sentence. It turns out 60 to 80 percent of all women have had HPV at some point in their life. It's something that will come and go in terms of the testing results because your body's immune system can put it under the rug. So what are some of the things you can do if you have HPV? Well first of all you need to get enough sleep. Sleep helps your immune system to be strong. The second thing is interesting. Eating more vegetables that are in the cruciferous vegetable family that's broccoli cauliflower brussel sprouts and kale they have a certain enzyme called in all three carbonyl which actually helps your body fight the HPV. The other things that you can do is try to reduce your response to the stressors in your life. Remember stress is what your response is to the thing. The thing has no meaning until you give it some meaning. So try to change your response to the stressful things in life. That's what it means to decrease your stress response. The other thing is smoking. Smoking plays a huge role in your immune system and your ability to fight these precancerous issues especially the HPV. There's another specific vitamin that you can take called folic acid or folate. It's found in green leafy vegetables. That's how it got its name foliage and it's also in most typical multivitamins folic acid is a major component of most multivitamins. So you've got more sleep less stress more cruciferous vegetables folic acid or foliate. And don't smoke if you're not a big vegetable eater. There's actually a concentrated extract from those broccoli-cauliflower-brussel sprouts type of vegetables that actually isolates the three carbonyl and it's metabolite called DIM and these are very helpful not only to help you reduce the HPV but you also hear me talk about sometimes how it helps your body metabolize estrogens. So in conclusion: if you find that you have the HPV virus, it's important for you to boost up your immune system every way you can and to get retested. However, what we recommend for you to do and its relationship to the pap smear is that when HPV is present it is a risk factor that means you might be at higher risk for developing cervical cancer. It doesn't mean that you're going to, but it definitely should serve as a yellow to red flag.